Railway Station Square - the face of Vitebsk. Every city has its own Railway Station Square. 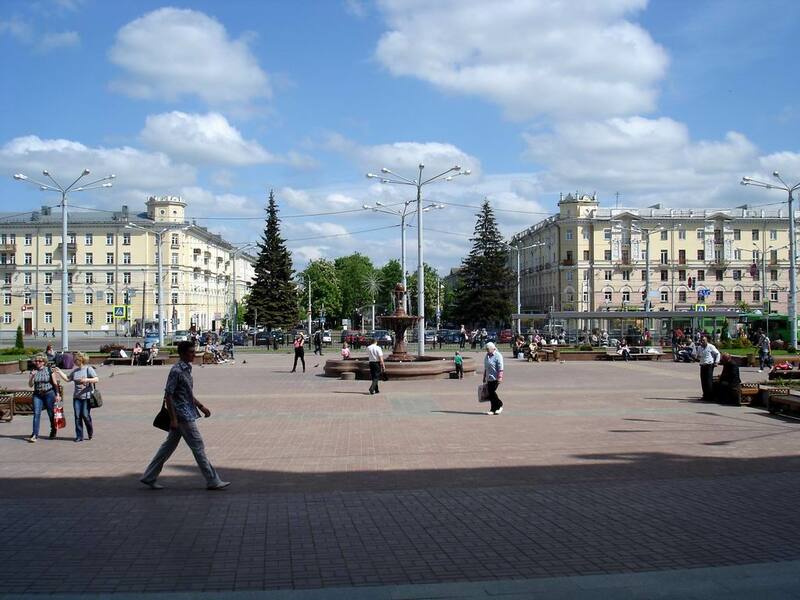 And it doesn`t matter whether you decide just to relax and spend a weekend in Vitebsk, or went back home after a long trip, it is the square that you will see in the first arrival in the city. It is, indeed, the "face" of the city. And in Vitebsk it is very beautiful. Vitebsk Railway Station Square appeared in 1866. It was this time when the railway station was built in historical Vitebsk and a railway junction was created. But originally this square was called Station Square, and only some time later it was renamed and is now proudly called Vitebsk Railway Station Square. It happened so that initially Vitebsk was divided by Dvina, and almost the whole city was built on the left bank, but the station and respectively the square itself was located on the right. Although in 1867 Kirovsky bridge was built (Dvinsky at this time) and Station Street (now Kirov Street) was created, which minimize this nonsense. 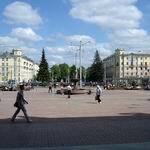 Thus, the square of Vitebsk get a transportation link to the left-bank part of the city. During the Second World War, the building of the station was completely destroyed, and in the early 1950s a new was erected on the square. In 2010 a large-scale reconstruction of Vitebsk Railway Station Square was completed. Now there is a lighted small fountain, pretty neat lawns, flower beds illuminated at night in the center of the square; coloured paving tiles underfoot and wooden benches with ornate cast inserts made the face of Vitebsk Station Square unrecognizable. Vitebsk welcomes guests of the Northern Capital handsomely and even solemnly. In 1960 a park was created on the left side of the Railway Station Square. A little further, if you walk on a way through the park under shady poplar trees, you can go directly to the building of the Palace of Children and Youth Creativity. On our city portal VitebskCity.by you will also find information about such attractions of Vitebsk as the House - Museum of Marc Chagall and read interesting information about the Locomotive - Monument.